Wash your jalapenos thoroughly after picking to remove any dirt, then dry. Place on a plate or a wire rack in a dry, well ventilated room. You can also string the peppers up on string or thread and hang to dry. Within several weeks, you will have dried jalapenos and you can grind them up or use them as ornaments as desired. Wash your jalapeno peppers thoroughly after picking to remove any dirt. Cut them in half, lengthwise to expose the pepper innards. Arrange the jalapenos over a baking sheet. Bake at low heat, about 100 to 135 degrees. There is no set time to bake the jalapeno peppers for drying. Keep an eye on them, turning every few minutes or so. You can leave the oven door cracked for some air flow. Keep in the oven until the moisture has been baked out of them. In this case, dry your peppers whole. Do not slice. String them together on some strong thread with a few inches between each jalapeno peppers. Hang the peppers in direct sunlight. Be sure it is dry and warm. It can take several weeks for the jalapenos to completely dry with this method, but it'll be worth it! A dehydrator is probably the easiest method for drying jalapeno peppers. A dehydrator encloses the jalapeno peppers and dries them overnight in soft heat. You can find dehydrators in stores or online. 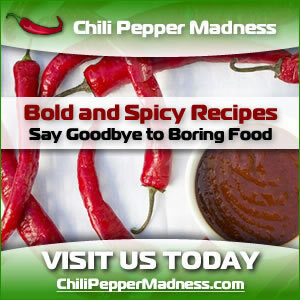 What can you do with your dried jalapeno peppers? Grind them up to make your own jalapeno pepper powder, which is like cayenne powder, or keep them whole and use them as you might use a sun dried tomato. They can be rehydrated with water and go great with any recipe!